Satellite receiver mount. 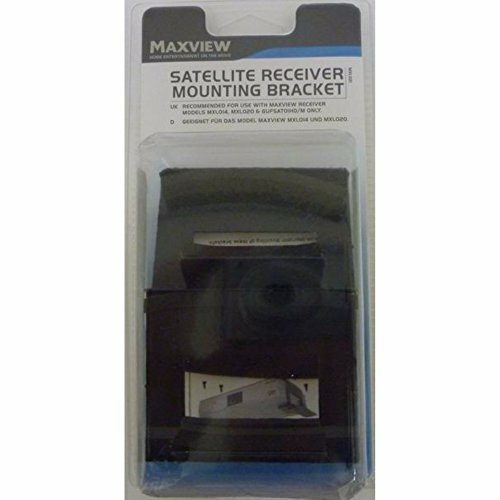 Bracket ideal for mounting securely the satellite receiver in a caravan or motorhome. Quick and simple to mount. Includes foam pads to avoid scratching receiver and illuminates vibrations. Steel brackets finished in a black smooth powder coating and all required fixing accessories. Packaging Style: Poly Bag. Packaging dimensions: W:9.8in x H:7in x D:2.5in. Product Weight: 155g. Bracket ideal for mounting securely the satellite receiver in a caravan or motorhome. Quick and simple to mount. Includes foam pads to avoid scratching receiver and illuminates vibrations. Steel brackets finished in a black smooth powder coating and all required fixing accessories. If you have any questions about this product by Maxview, contact us by completing and submitting the form below. If you are looking for a specif part number, please include it with your message.